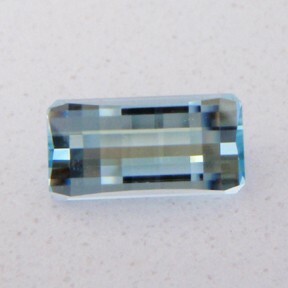 Comments : A very nice natural blue topaz from O'Briens Creek. The cut is a modern design and would make a great pendant. The colour of the natural blues from here easily rival aquamarine! 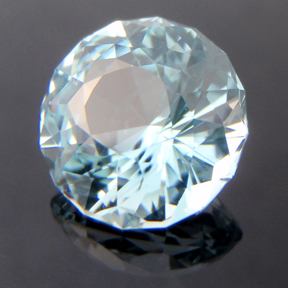 Comments : A very nice natural blue topaz from O'Briens Creek cut in a pear shape. There are some slight needles. 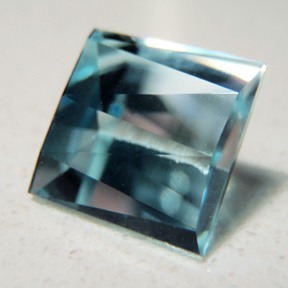 Comments : A very nice natural blue topaz from O'Briens Creek. The colour of the natural blues from here easily rival aquamarine! 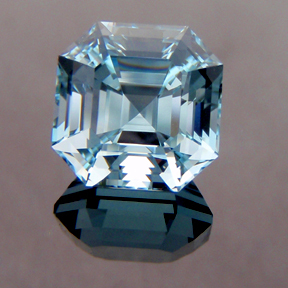 Comments : This is a good natural blue topaz from the O'Briens Creek fields near Mt Surprise. It has a very nice light blue colour that is natural and not caused by artifical heating or irradiation. The design is very modern with a zig-zag appearance. These natural blues are one of my favorite stones to cut and the finished gem is almost indistinguishable from aquamarine and have an elegance that is theirs alone. Unfortunately one of the corners on the bottom keel has a small chip. 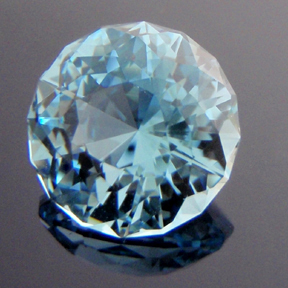 Comments : This natural blue topaz is cut in a classic marquise design. It is a large stone and would suit any jewellery setting. 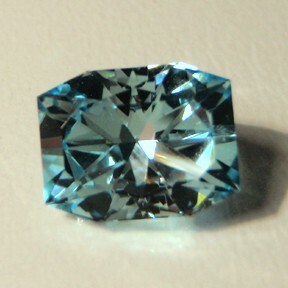 It is an excellent example of a natural blue topaz from the O'Briens Creek fields near Mt Surprise. It has a very nice light blue colour that is natural and not caused by artifical heating or irradiation. These natural blues are one of my favorite stones to cut and the finished gem is almost indistinguishable from aquamarine and have an elegance that is theirs alone. Comments : This is a spectacular natural blue topaz from the O'Briens Creek fields near Mt Surprise. It has a very nice light blue colour that is natural and not caused by artifical heating or irradiation. The design is very modern, flashy and eye catching. These natural blues are one of my favorite stones to cut and the finished gem is almost indistinguishable from aquamarine and have an elegance that is theirs alone. This is a very unique piece of gem art! 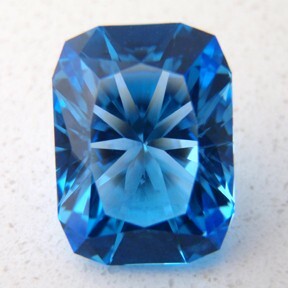 Comments : This is a very strongly coloured blue topaz. The cut is a very modern and flashy square design and exhibits what I call "pixelation"... kind of what you sometimes see on a stereo display. If you are going to set this stone, you will need to make sure that the corners are protected. Comments : This is a great gem! The cut is one of my own "dome" designs so it will have a higher crown then usual. The brilliance and dispersion are excellent. The stone has a lovely soft blue glow about it. Comments : A big pale blue topaz from O'Briens Ck. The design is the Smith Bar and there is some good pixelation action happening in the stone. There are some small needle and veil inclusions in one corner but hard to spot. It would make an eye catching pendant! Comments : A great natural blue from O'Briens Creek. 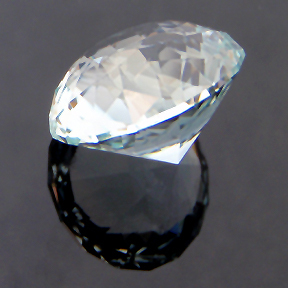 It is cut in one of my oval dome designs and is a very brilliant and sparkling gemstone. * There is a very interesting natural inclusion in this stone. It is very minor and appears like a small strand of a spider's web with tiny beads of dew on it, like spider webs sometimes have early in the morning. Other then this the gemstone is eye clean. Comments : These two exceptional O'Briens Creek Topaz were commissioned by a couple of friends out on the gemfields. They wanted a large pair of matching stones in this modern design. Each stone is matching down to the natural blue colour zone running along the keel of each stone. They look absolutely dynamite! The pictures do not do them justice. 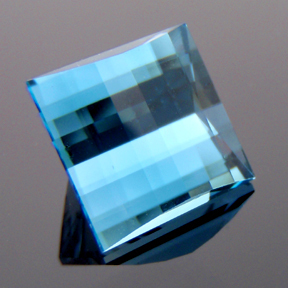 Due to the orientation of the stones the blue does not show very strongly rather it gives them very effective blue "highlights". 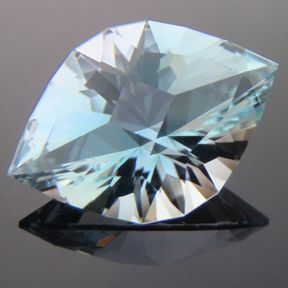 Comments : A great natural blue topaz from O'Briens Creek. 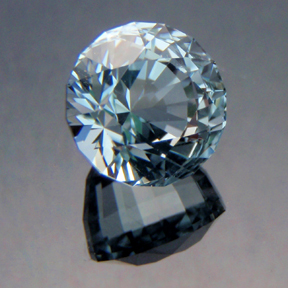 It is cut in one of my round dome designs and is a very brilliant and sparkling gemstone. This design has 161 facets! * There is a very minor natural inclusion in this stone. It is what I call a "horsetail" needle inclusion because it is comprised of several very thin silvery needles coming together at one end, much like a horse's tail or a comet in the night sky. It is visible in one of the pictures. Other then this the gemstone is eye clean. 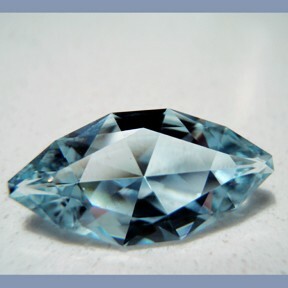 Comments : Quite a sweet little O'Briens Creek blue topaz cut in a design that I think resembles an acorn. I think its a very elegant, classic design and would suit a solitare style ring setting. The blue colour is very good. * There is a very fine silvery spider-web strand style inclusion. It sort of looks like a spider-web strand that has dew droplets on it at dawn. It does not detract from the overall appearance of the stone. 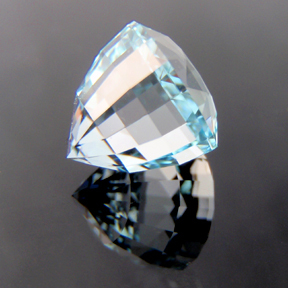 Comments : A very nice O'Briens Creek blue topaz cut in my 161 faceted Phi Flower Dome design. This design almost does my head in when cutting it... its a very challenging cut. * There are some small veils on one side nead the girdle/pavilion but nothing that detracts from the overall appearance of the stone... the veils are very hard to see. Comments : This is a very fine O'Briens Creek topaz. It is however not very blue, quite pale actually but works exceptionally well in this modern check design. * There are several very very fine silvery needles in this gemstone and are almost impossible to see. Other then this the gemstone is eye clean. 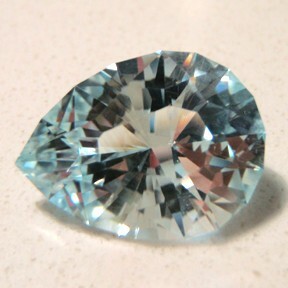 Comments : A smaller sized O'Briens Creek light blue topaz. * There is a very fine silvery needle in this gemstone, other then that the gemstone is eye clean. Comments : This is a very elegant and eye-catching gemstone. 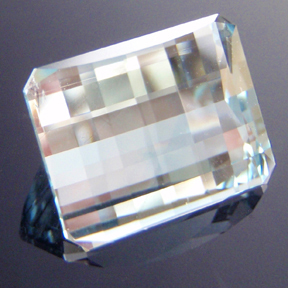 It is cut from the same topaz crystal as #106. It is much bluer then its sibling with a very strong blue colour zone running across the stone from tip to tip. It has the same playful nature as its sibling and I really do want to see them kept together... they wonderfully complement each other. Comments : This is a delightful and playful gemstone. 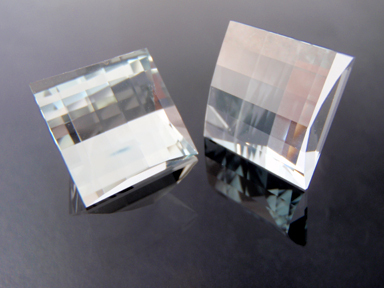 It is cut from the same topaz crystal as #107 and I am selling them as a matched set only. 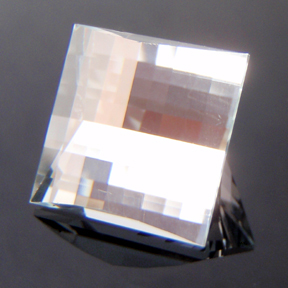 It is predominately silvery clear with a blue colour zone in the middle on one side. I have indicated the colour zone in one of the pictures if you want to see it. This actually gives it a very unique and playful nature. The blue is reflected into the opposite corners and creates a kind of "V" colour effect. When you tilt the stone around the blue patches flash and chase each other around the stone. It brings a smile to my face to see. 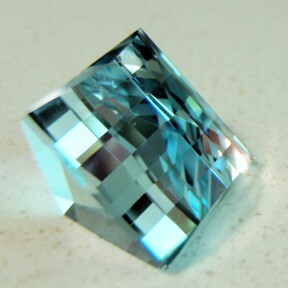 Comments : This is a VERY nicely cut natural blue topaz. 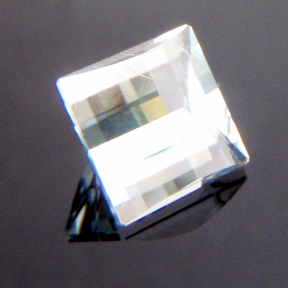 The asscher cut design is quite old, dating back to the very early 1900's. Initially it was designed for diamonds and suits topaz perfectly! The geometric design shows up very clearly in this stone and is quite an eye catching gem. 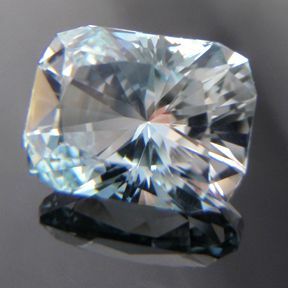 Comments : A very brilliant blue topaz cut in a barion cushion design. 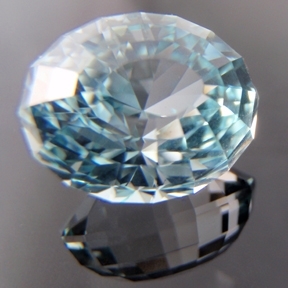 Comments : A lovely natural blue topaz cut in my Acorn design. This stone would suit a beautiful solitare ring setting. * There are some very fine silver needles at one point need the girdle and what appears to be a minor veil. These are not noticable face up and do not detract from the overall appearance of the gemstone.